1 OWNER! CLEAN HISTORY REPORT! NAVIGATION! REAR BACK UP CAMERA! TOUCH SCREEN DISPLAY! HEATED AND COOLED LEATHER SEATING! DRIVER SIDE MEMORY SEAT! FIXED RUNNING BOARDS! BED LINER! BED COVER! TOWING PACKAGE! PANORAMIC MOON ROOF! KEYLESS ENTRY! REMOTE START! BLUETOOTH! GARAGE DOOR TRANSMITTER! 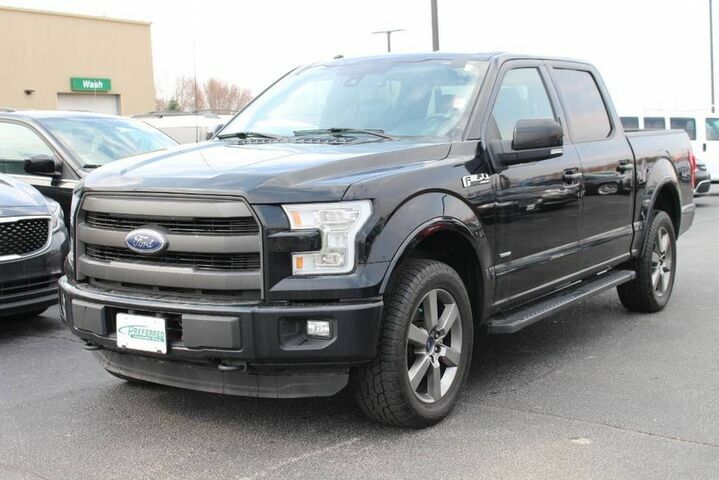 This 2016 Ford F-150 Lariat is offered to you for sale by Preferred Auto Illinois Road. Put performance, safety, beauty, sophistication and all the right amenities into a car, and here it is! Now you can own luxury without the luxury price tag! Take home this Ford F-150 Lariat, and you will have the power of 4WD. It's a great feature when you need to drive over tricky terrain or through inclement weather.